JetLease, the world's largest private aviation leasing company, is showcasing the legendary Sikorsky UH-60A Black Hawk helicopter in Dallas March 6-9 at the annual HELI-EXPO, "where the global helicopter industry gathers," hosted by Helicopter Association International. Attended by over 20,000 industry professionals from around the world, the JetLease Black Hawk will be one of over 60 aircraft on display. "This is a great opportunity for attendees to see firsthand what a multiuse, dynamic machine the Black Hawk is," said Russell Dise, president of JetLease. Powered by twin General Electric turboshaft engines, the UA-60 can cruise at up to 145 knots and has a range of 300 nautical miles. With a maximum take-off weight of 22,000 pounds, it typically accommodates 11-15 passengers. JetLease also offers these value-added services: Pilot and maintenance training; worldwide maintenance support; unlimited parts availability and 6-months warranty on workmanship. Another option is the Executive Interior package, upon request. 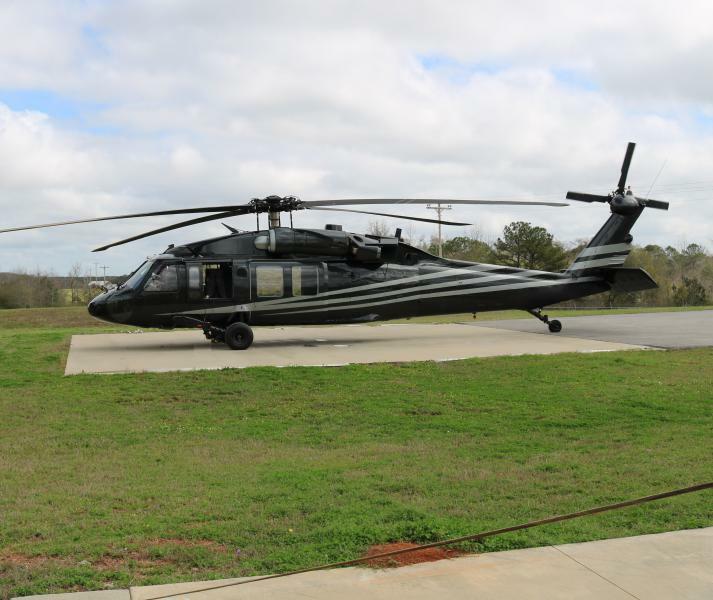 For more information on owning a UH-60A Black Hawk, contact Russell Dise at (561) 242-4393, or Rdise@jetlease.com.